The Board Game Soapbox is an ongoing column in which we sound off on the things in tabletop gaming that grate our cheese, honk our horns, and just plain rub us the wrong way. Anything that makes us feel strongly, we’ll tell you about here. It’s 2018. Druid City Games is hiding secret promos under their components and Chip Theory Games is giving you 9 pounds of game in the modestly-sized Undertow box. Kickstarter has turned into a frantic race of “Top this” when it comes to stretch goals, and CMON Games has compounded matters by shooting for the world record for largest “mini” with their logic-defying Cthulthu mold for Death May Die. And yet, despite the monumental growth in the industry over the past decade, despite the increased attention to detail and emphasis on artwork and graphic design, despite all that and more there’s one detail that remains, for the most part, overlooked: inside-the-box organization. It’s not flashy. You can’t snap a hot Instagram pic of your molded plastic insert. But the fact remains, this element is far more key to your enjoyment of the game than many others (spot UV on the box, a few bonus cards, etc). Good box organization can trim your setup time by a large margin while making cleanup a breeze. As games continue to push the boundaries of what can physically fit inside a box (I’m looking at you, Gloomhaven) the need for quality, thoughtful storage solutions grow. 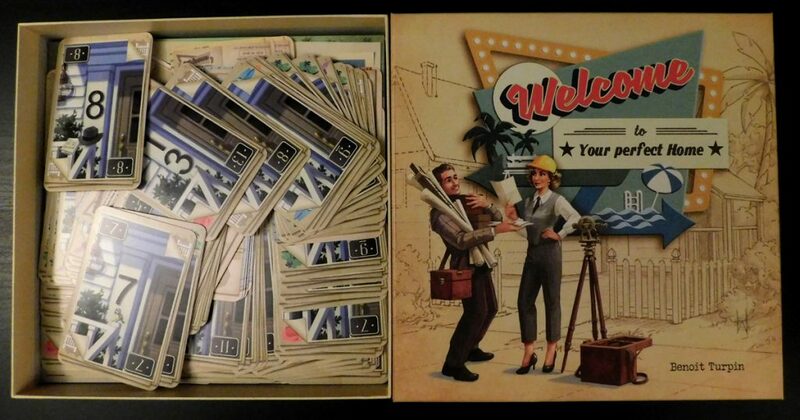 Now, before the cries of “but Broken Token!” and “but Meeple Realty!” ring out, let me curtail those objections with something I consider to be a fair and reasonable expectation: a board game ought to be reasonably organized straight out of the box. I don’t mean that it has to include an insert designed by GameTrayz (although, I must admit, I am tickled when they do and can’t wait to see what the inside of my Sorcerer City pledge looks like when it arrives), but some modicum of mindfulness would be nice. Let’s look at a couple of recent examples that I added to my collection. Both are small boxes of roughly 10″ by 10″ and both contain a handful of cards and other components. 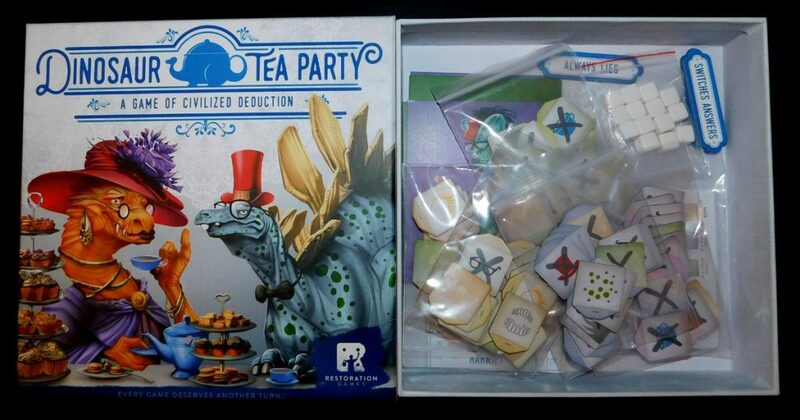 The first, Dinosaur Tea Party by Restoration Games, included a handful of plastic bags (about twice as many as was even necessary) to allow you to separate, organize, and contain the various bits and cards to the game. Was it the most elegant solution? No. But it was perfectly functional and said to me that the publishers actually thought about their customers’ experience beyond the threshold of “will they enjoy playing the game?” And that’s huge. The second game is Welcome To from Deepwater Games. It’s roughly the same size as Dinosaur Tea Party and comes with significantly fewer bits. In fact, the game is comprised of a large pad of game sheets that fits snugly into the box and then about 80 cards or so (that number may be completely wrong, but that’s not the point) and… absolutely nothing to contain them. So, after meeting friends at a board game cafe and opening up my brand new copy, I had to pack it back up unfettered, a loose deck of cards that would immediately spill across the interior of the box when I packed it up. The resulting chaos makes it both a nightmare to set up again as well as risking damage to the cards themselves. Welcome To is a great game! This criticism has nothing to do with the quality of the game, but rather the myopia with which publishers seem to treat box organization. Games come without bags, or dividers, or inserts. Or those that they do come with are slapdash, like the Ancestree insert which rendered much of the box space unusable while leaving not enough space behind for the tiles of the game. Now, I don’t want to come off as pedantic and I have different expectations for what a small company should put into their manufacturing versus what a large company should (although, ironically, it’s the smaller companies that are working to raise the bar, it seems). That said, this isn’t a cheap hobby. 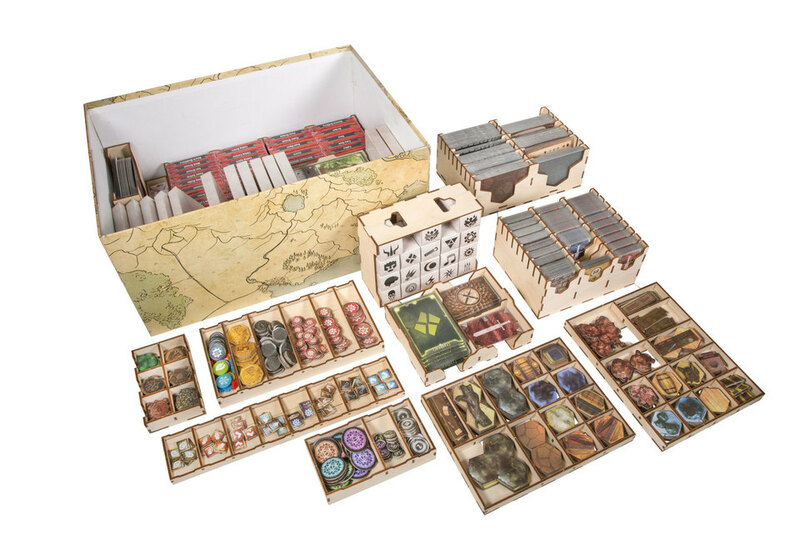 A game like Gloomhaven has an MSRP of $129.99, so the notion that I have to resign myself to chaos inside the box and an hour of setup time or spend an additional $80.00 on a functional insert (Broken Token) is laughable. And we do, we spend the money because we care. We want to keep our games safe, pristine, and facilitate the actual playing of the game by having all the components organized and accessible. But that shouldn’t be our responsibility. So while I’m not asking for every publisher to go above and beyond like some of them do (again, tip of the hat to Druid City), it would be nice to see more publishers at least consider their product from this perspective and include, if not the best solution, a solution. I think cards should be bagged but most other components can be sorted as needed. If you have a pile of cubes and need a green one. Pull it from the pile. It is a waste of time to sort the piles into bags.